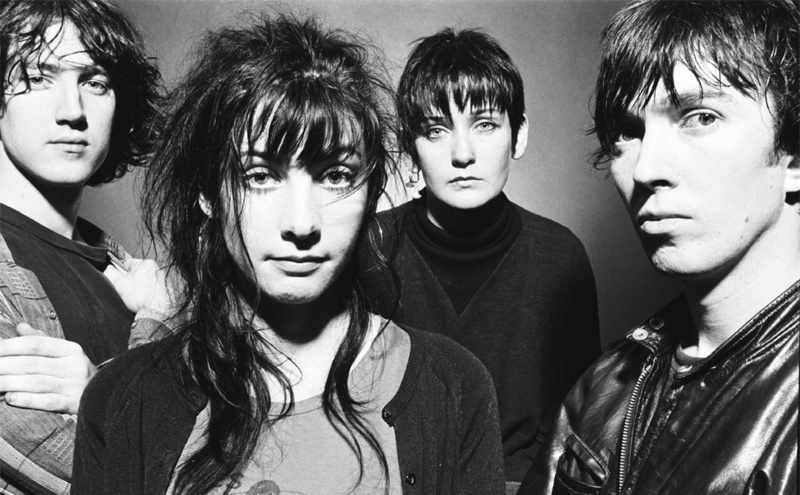 My Bloody Valentine’s Loveless is the most innovative and influential rock album of the last 25 years—more so than Nevermind, that other record that shook the music world to its very foundations in 1991, or any other effort that anyone could name constructed more or less entirely from guitars, bass, drums and vocals. Kevin Shields’ quartet never came to the definitive and dramatic end that Nirvana did, but the music world nevertheless long since gave up on the Valentines ever releasing a full set of new music. Scattered tracks through the years didn’t offer much promise: Dwarfed by the pressures of topping his own masterpiece, the band’s songwriter and auteur had become one of the most infamous cases of arrested development since Syd Barrett or the driving force of the Beach Boys. Now, after a wait of a little more than 21 years, with hardly any fanfare and with no official distribution beyond the band’s Web site, we finally have a new My Bloody Valentine album. 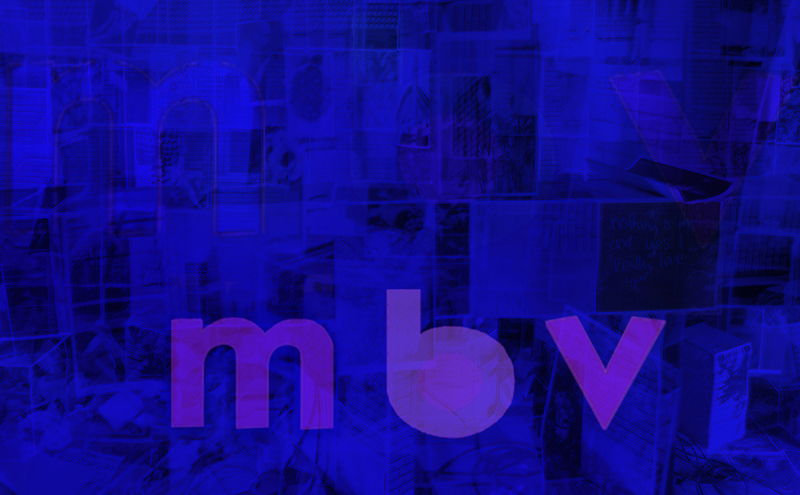 And if mbv it isn’t as great as we might have hoped it would be, neither is it as bad as we might have feared. Loveless, we must conclude, was the fortuitous result of a varied combination of particular factors all coming together at exactly the right time and place, from Shields’ admitted obsession with Ecstasy back then to his relatively recent mastery of what he called “glide guitar” (a unique way of strumming using the “whammy bar” or tremolo arm, enhanced by the backwards reverb filter of a distinctive Yamaha digital effects pedal), and from the underground currents of both rock and electronica at the time to Lord knows what was going on in his personal life. The most likely if not the only chance that the band had of forwarding that uniquely beautiful/ugly, lulling/disquieting, entrancing/sick-making dichotomy of Loveless was if it had recorded the follow-up soon after the ambitious tour it did to support its masterpiece, combining what it had learned in the recording studio with what it had learned onstage in live performance, and building upon its strengths at the moment as a band. Because, it must be said, there were four Valentines, with drummer Colm Ó Cíosíg, bassist Debbie Googe and second guitarist and vocalist Bilinda Butcher every bit as important to the mix as Shields—at least onstage. We have scant information about the new music’s origins, no way of knowing how many of the nine songs date all the way back to ’96 or earlier, what exactly was done to them during the reunited band’s brief visit to the recording studio last month, or how much involvement Shields’ bandmates had with the project either before or after the nostalgic reunion tours that began in 2007. And Shields no doubt wants it that way—the better for us to focus on the music. Okay. So, what do we get? As my Sound Opinions colleague Greg Kot astutely pointed out in his review, mbv can be broken down into thirds. The first is a mellower continuation of that famous bedspins/seasick sound of Loveless; the middle is an experimental detour, minimalist and largely electronic, and the final and most satisfying chunk is three songs that actually get the blood pumping, and which hint at where My Bloody Valentine might go in its future, if indeed it has one. This is to say that the openers, blatantly nostalgic numbers such as “She Found Now” and “Who Sees You,” are nothing we haven’t heard before, and better. The mid-album detours, “Is This and Yes,” “If I Am” and “In Another Way,” are rather static and boring, with Shields attempting to replace the visceral power of the old instrumentation (which never sounded like bass, guitars and drums anyway) with generic or at least unimaginative electronic/synthesized ambience. Only the stunning “New You,” which is as close as this band ever has gotten to a straightforward pop song, and the hard-hitting album closers “Nothing Is” and “Wonder 2,” which do indeed sound like Loveless meets jungle, drum ’n’ bass and some as-yet-unnamed genre from Mars, really are anything to get excited about. Rating on the four-star scale: Three stars.